This is the setting for 15 min time frame EUR/USD. The Style of this strategy is Countertrend and trend following. This Tradign system works also with other Time Frames but you have to change the setting of the momentum indicator that is crucial. 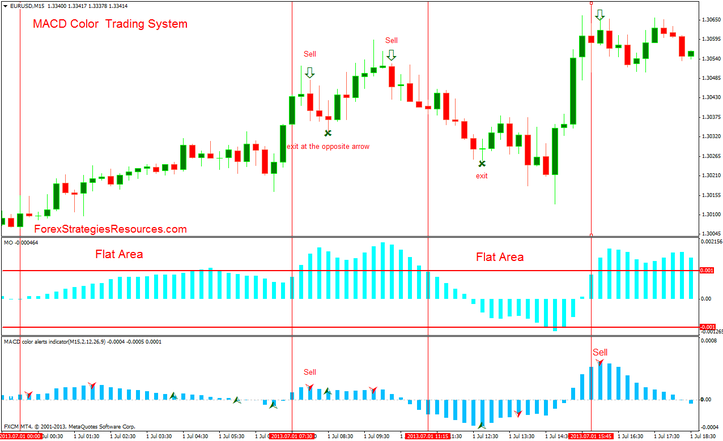 Momentum indicator with two levels (0.001 and -0.001)(flat zone). Momentum indicator is below -0.001. Momentum indicator is above 0.001. Fast profit target 8-12 pips or at the opposite arrow. In the pictures below MACD Color Indicator Forex Trading System in action. 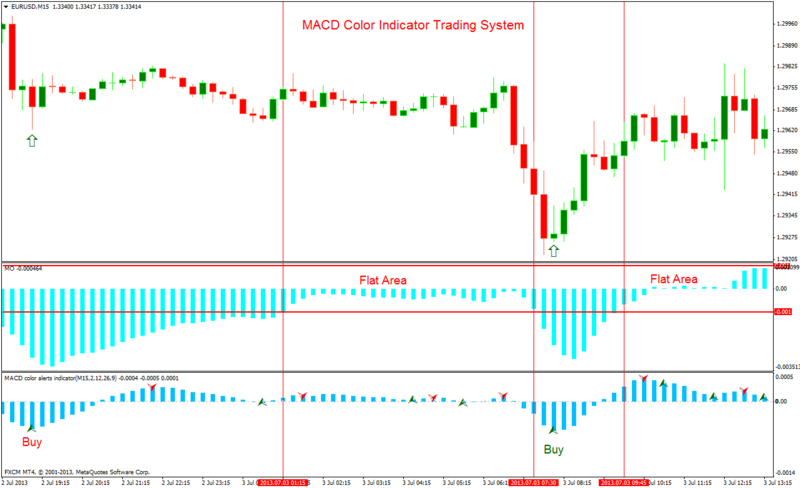 MACD color indicator Forex Trading System: Template and indicators.